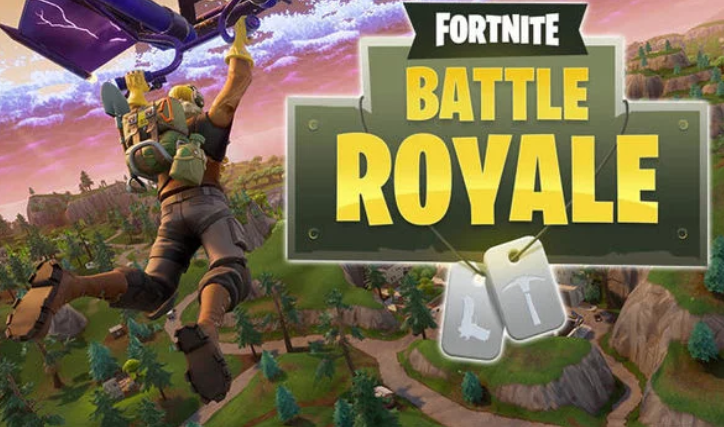 Fortnite noticed a game called PUBG(Players Unknown Battlegrounds). They wanted to make fortnite better than that. The game was supposed to be a zombie survival in a post apocalyptic world. But instead they added the mode “Battle Royale.” Battle Royale is a mode where you kill others with guns you find from chests or the gun is just sitting there. You are in a battle between one hundred people, and you want to be the last man standing. Fortnite is free and is avalible on PC,xbox,PS4, and IOS devices. Fortnite is rated from ages 8 to 18. It is much more kid friendly than PUBG. PUBG includes a blue blood hack and Fortnite doesn’t. Fortnite battle royale was released september 2017, and was a lot better than the old fortnite. Fortnite is really cool. You collect different skins to look epic, different pickaxes, and different glider. The skins just look cool. The pickaxes are used for collecting materials. And gliders are to help you safely land on the ground. First you skydive, then when your too low, the game switches you to glider mode. The game is programmed that way. Personal Response: I chose this article because I like Fortnite. I am interested in video game history and the furture for Video games. If I do say so my self, I play Video games a little bit too much on the weekends. I really liked your article, you did a good job, explaining it. I also really liked that you explained what the article was about and how the video game got very popular in just, like 3 months. Great job, are you a big gamer?